‘Beach’ is an exhibition of new paintings of the Gower coastline by the Welsh contemporary landscape painter, Jane Bennett. Jane works on tiny, stretched linen canvases and on broader, larger boards, many of which are primed in red oxide and then painted over with oils, all traditional techniques. 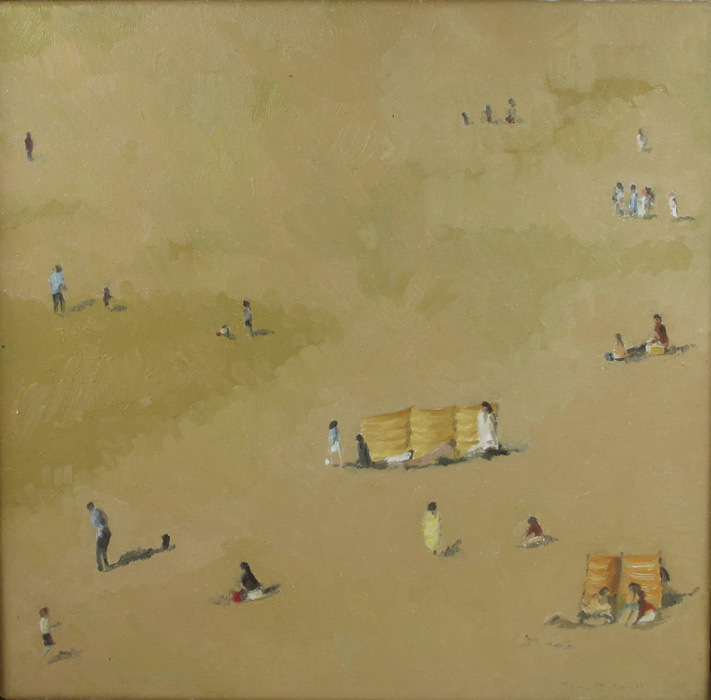 The beach is a continuous reference point for Jane and her preoccupation is with the activity of painting. 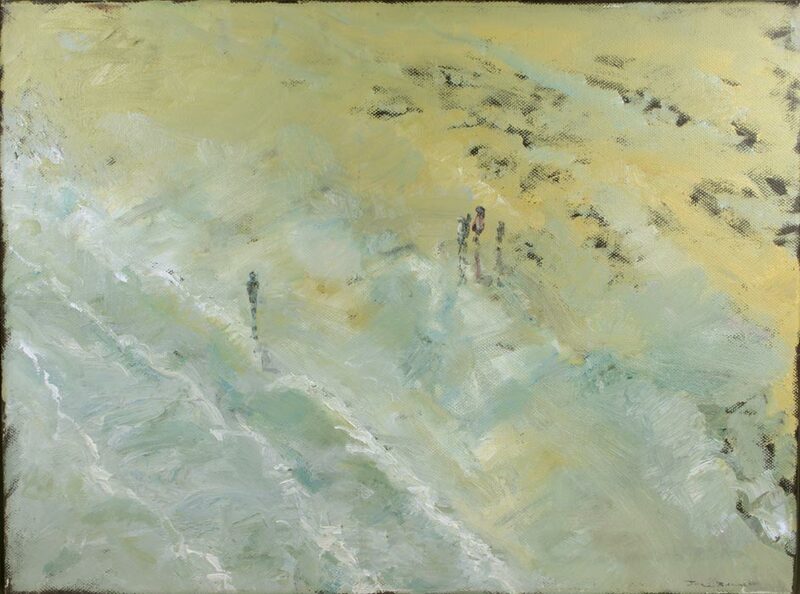 In these exquisite pieces there is no central focal point, no horizon, no edge, just beach, sea and sky. The paintings exude the continually changing light, the reflections of sky and sea, sun and shadow on the sand and empty spaces. A simple brushstroke strategically placed eloquently describes the figure (surfer or bather), the wind breaks or deckchair, generating a degree of abstraction. 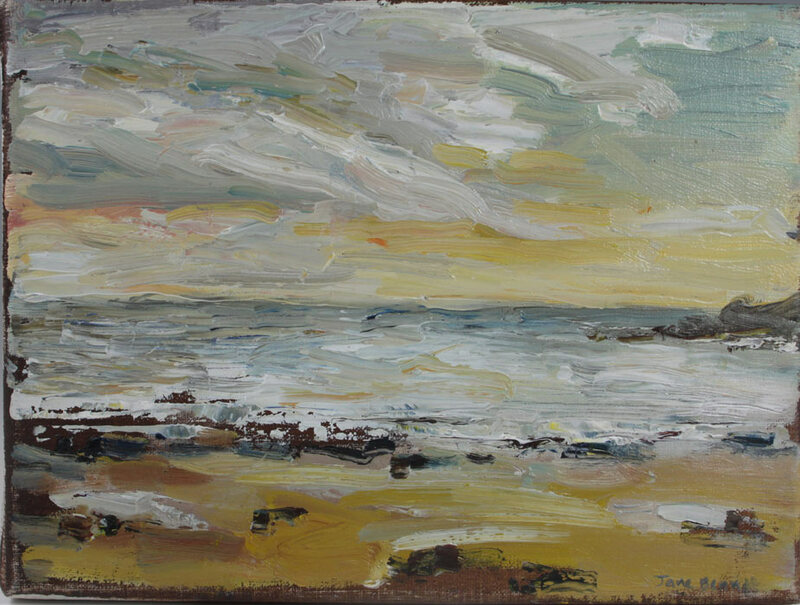 Jane Bennett has always painted, always carried her notebooks and worked in situ, collecting visual and written notes inspired by the landscape: Once the Brecon Beacons and Black Mountains, now she paints the South Wales coastline, Swansea, Langland and Caswell Bays. She was born in Caerphilly and came to live in Powys in 1977, where she remained until 2006, bringing up her family. 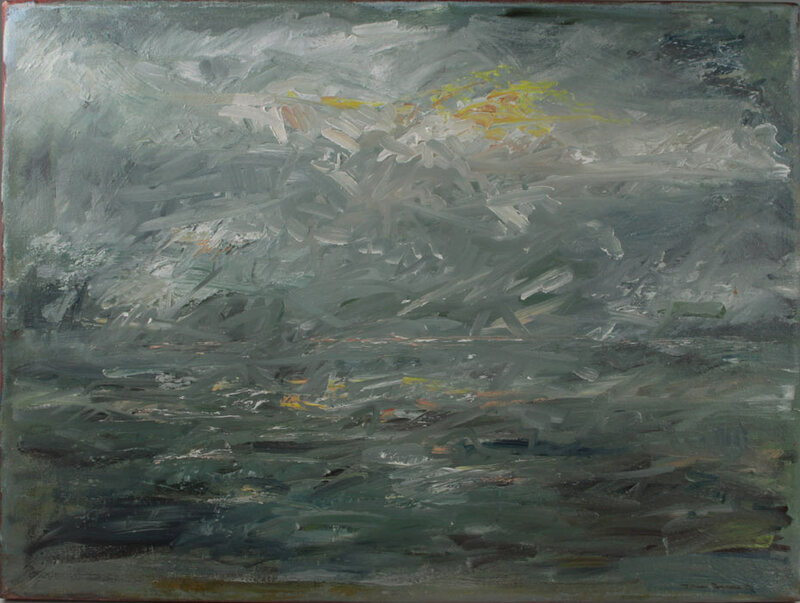 Jane then moved to the Gower and has recently completed her MA Fine Art Painting Degree at Swansea Metropolitan University.